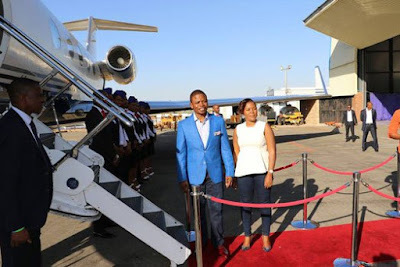 Malawian pastor has left tongues wagging after he decided to acquire himself a new sh 3.7 Billion ‘toy’ and flaunted it on social media for all to see. 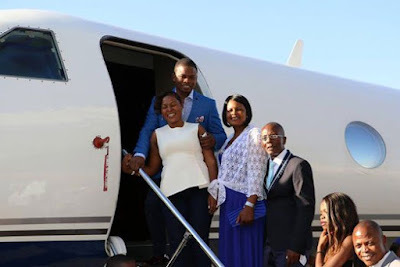 The pastor could not hide his joy after he acquired his personal jet. He shared the photos to over 400000 followers on facebook. The pastor by the name Bushiri is one of the richest men in Malawi and is never shy to show his financial muscles to the public. The flamboyant pastor revealed plans of opening a bank and a mobile company in South Africa where he is currently based. “I am what God says I am. 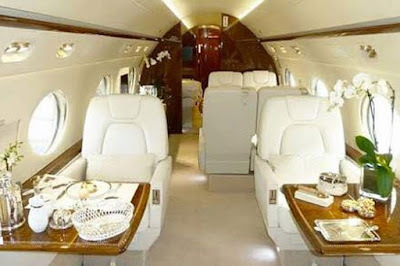 I was a born winner,” Bushiri was quoted as saying by Malawi’s Nyasa Times.